On November 20th we will host an interfaith prayer breakfast at the Hercules building Atrim! 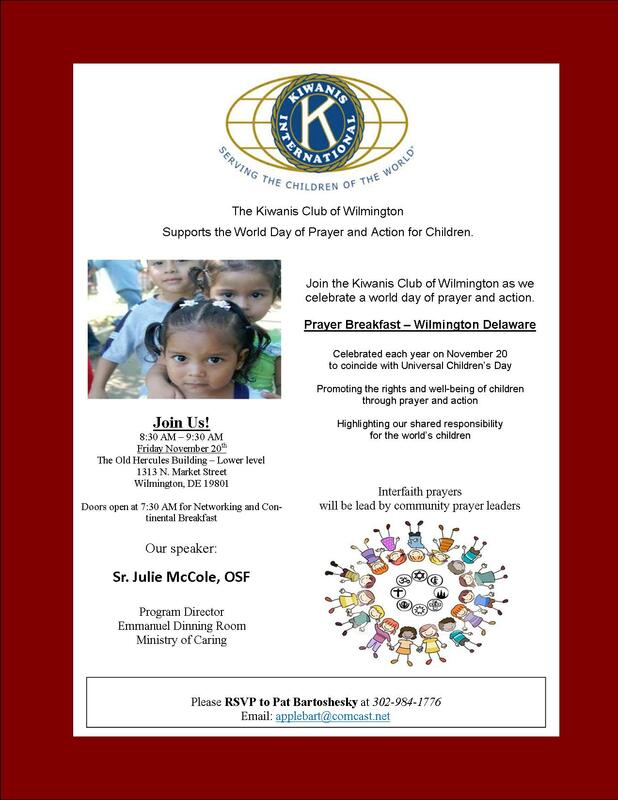 This commemorates the World Day of Prayer and Action for Children started by UNICEF in 2010. Please join us. The Kiwanis Club of Wilmington, DE a dedicated community service group was founded in 1918. Kiwanis is a global organization of volunteers dedicated to changing the world, one child and one community at a time.